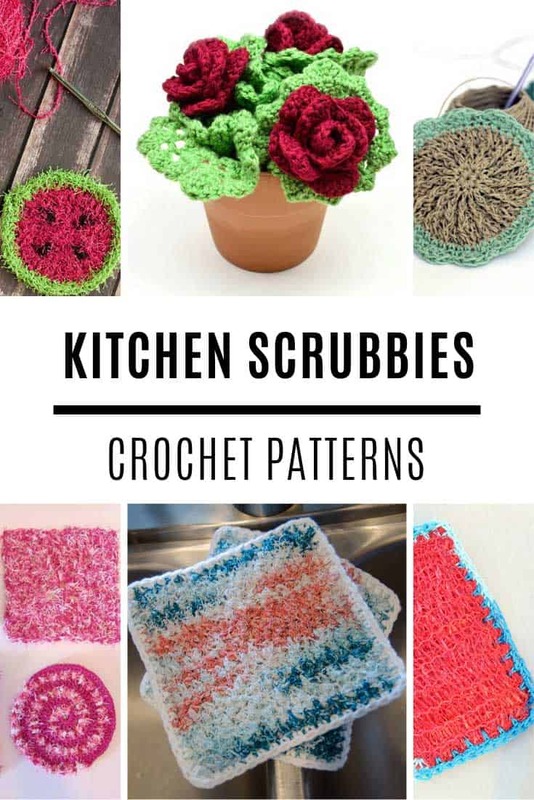 You’re going to love these scrubbie crochet patterns. 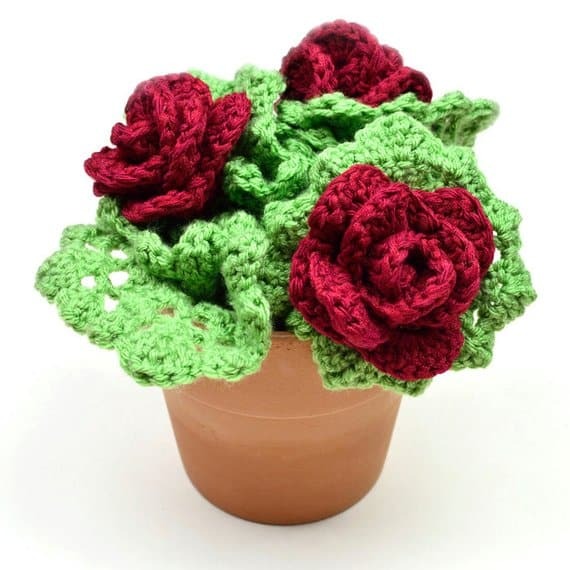 They’re easy to make and work up really quickly, and they make fabulous housewarming gifts too! Today we’re kicking off a new series of kitchen crochet patterns because Spring cleaning season will be with us before we know it! 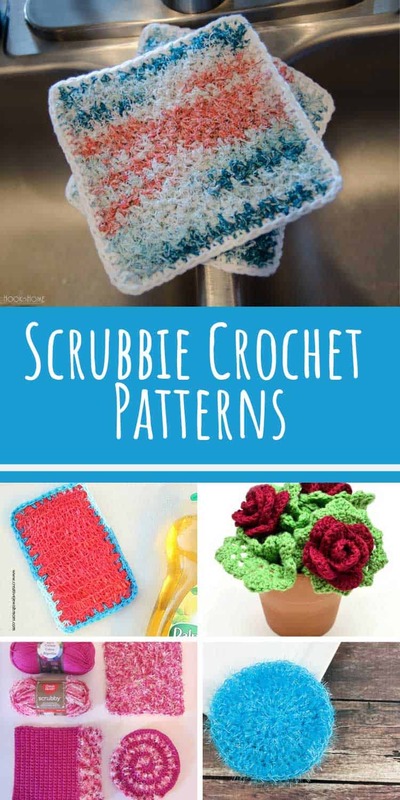 I’m going to start things off with a collection of fabulous scrubbie crochet patterns, because they’re easy to make and work up really quickly. And every kitchen sink needs a scrubby! Let’s kick off with a homemade scrubbie made the upcycling way using an old mesh sack. If your potatoes come in sacks like this you just need a little scrap yarn and you can crochet up some scrubbies in no time. If you have sensitive skin, or you don’t like wearing gloves while you do dishes you might decide that the mesh bag scrubbies are too harsh on your hands. 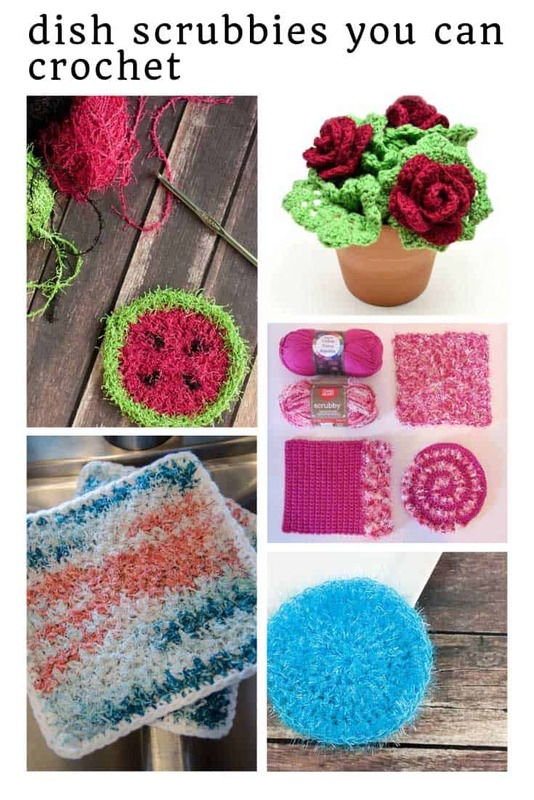 That’s ok though, you can still crochet your own scrubbies, you just need to use scrubby yarn! Yup, that’s totally a thing. This pattern uses a self-striping Red Heart yarn and is two sided so one side is cotton and good for wiping and the other side is good for scrubbing! 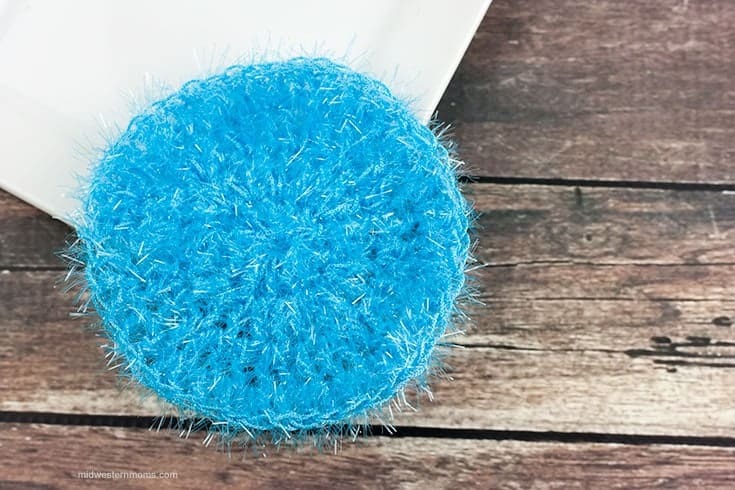 If you prefer to use round scrubbies then you need to check out this super simple pattern. Devon has used plain scrubby yarn but I think they’d look cute in the self-striping yarn too! 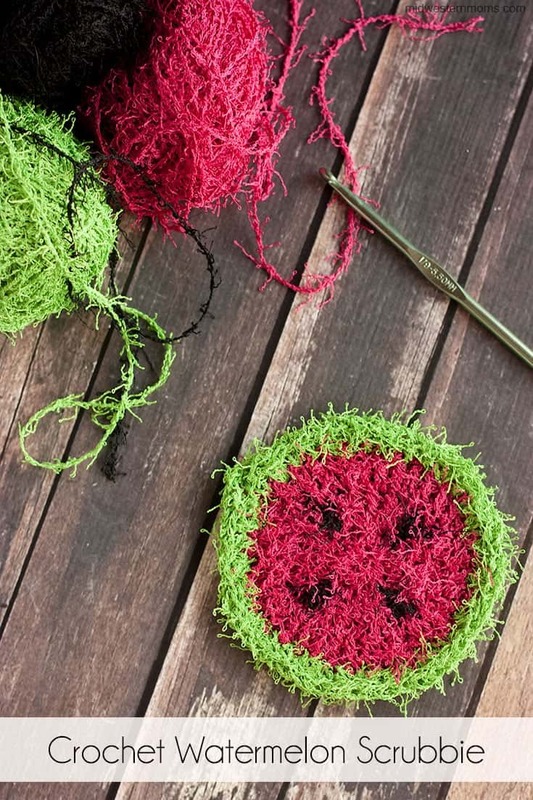 And once you’ve mastered the round scrubbie why not mix things up and make a watermelon design! It’s still an easy pattern to follow, you just need the three different yarn colors. 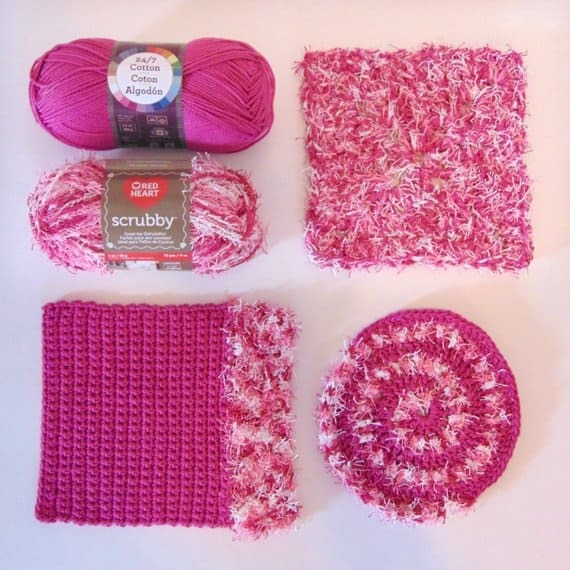 If you’re thinking about making some scrubbies as a housewarming gift take a look at this set of three different patterns. There’s a dual duty scrubber, a spiral scrubber and a waffle scrubby too. Just one skein of cotton and one skein of scrubby is enough to make all three scrubbies. Oh my goodness! Speaking of housewarming gifts, did you ever see anything so sweet! 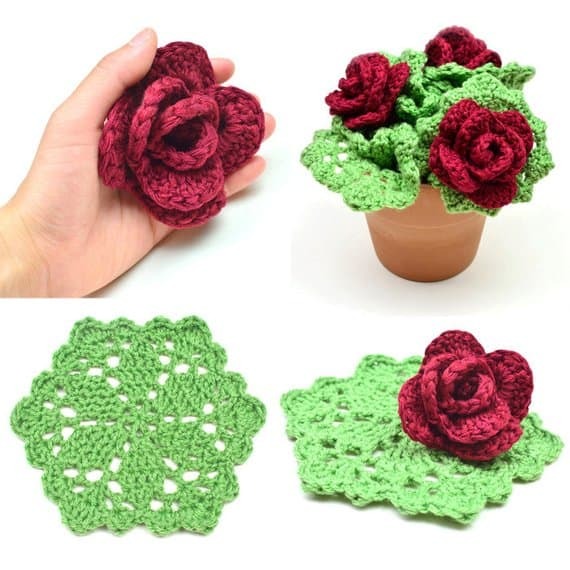 Kicthen scrubbies and cleaning cloths that can be presented as a rose bush. Seriously, if your mom loves spending time in her kitchen you could make her a set of these for Mother’s Day! Another way to make mesh-free kitchen scrubbies is to use hemp cord. It comes in lots of different colors and it’s naturally antibacterial. 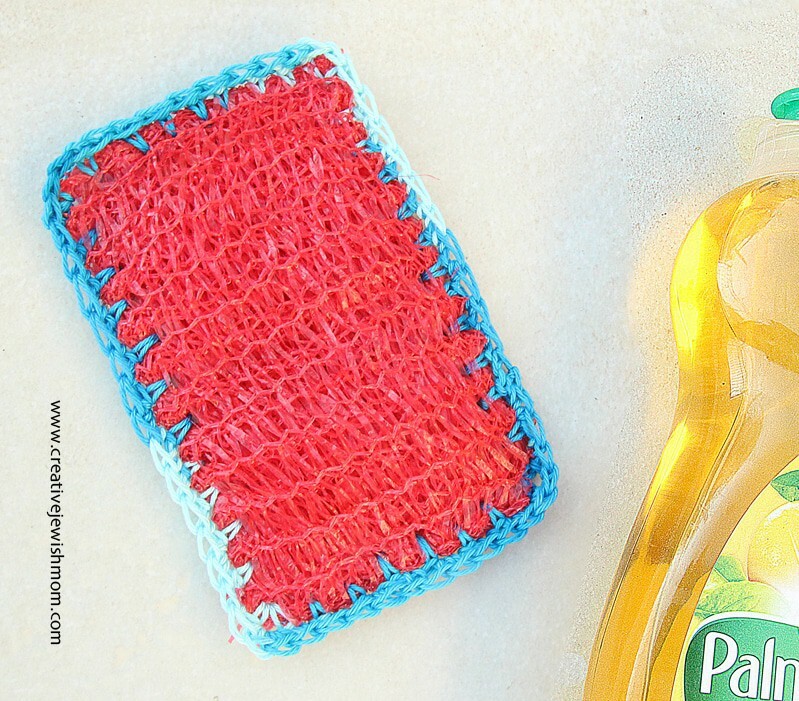 This pattern sure does make a pretty crocheted scrubby! 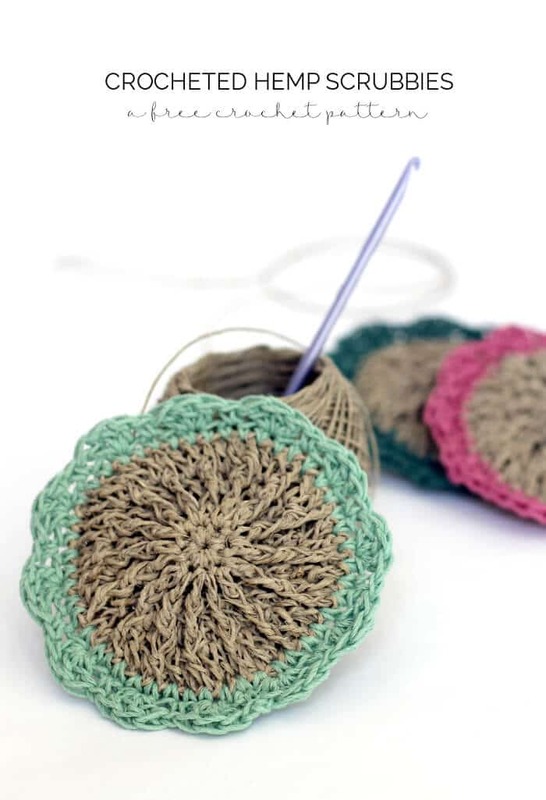 Let’s finish up with a video tutorial that shows you how to make a spiral crochet scrubbie. 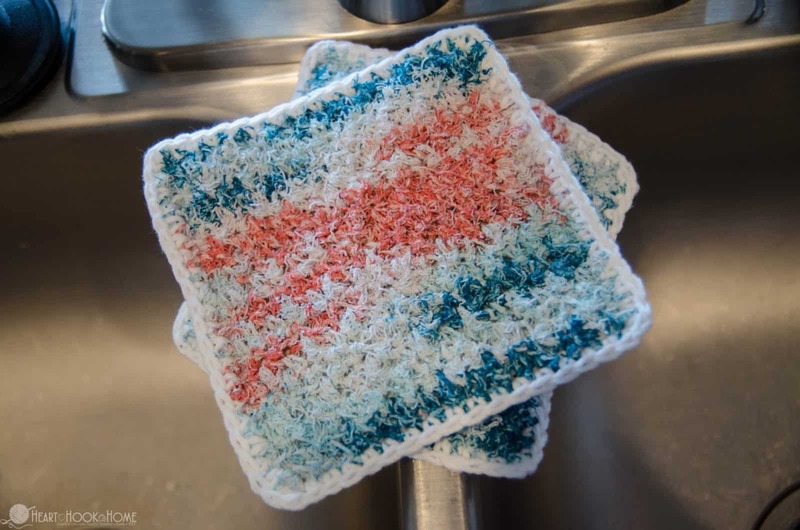 She’s using regular cotton yarn to make a scrubbie that could be used on your face, but you can use the scrubbie yarn instead if you want to use it for the dishes!